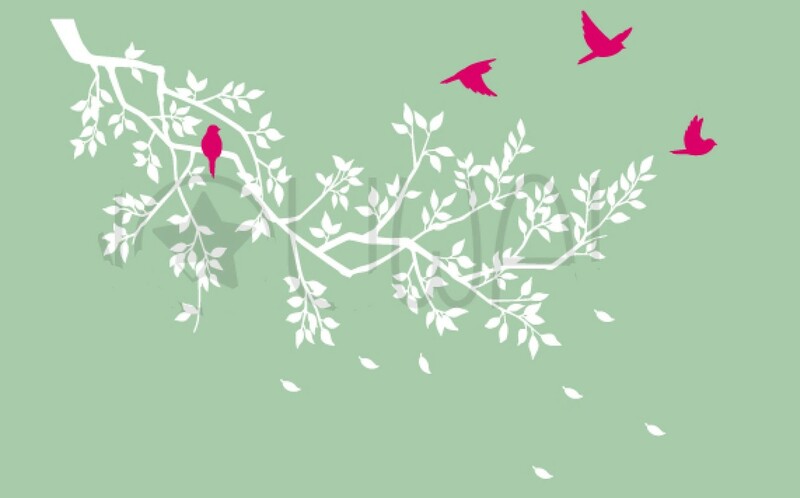 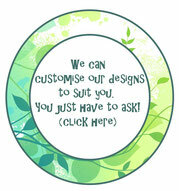 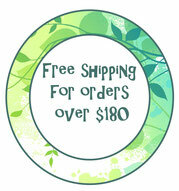 4 Spring branch - Leafy Dreams Nursery Decals, Removable Kids Wall Decals-Stickers SALE NOW ON! 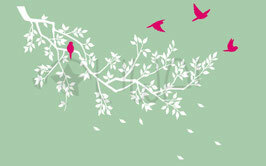 A beautiful spring branch with silhouettes of birds flying by and one bird having a rest. 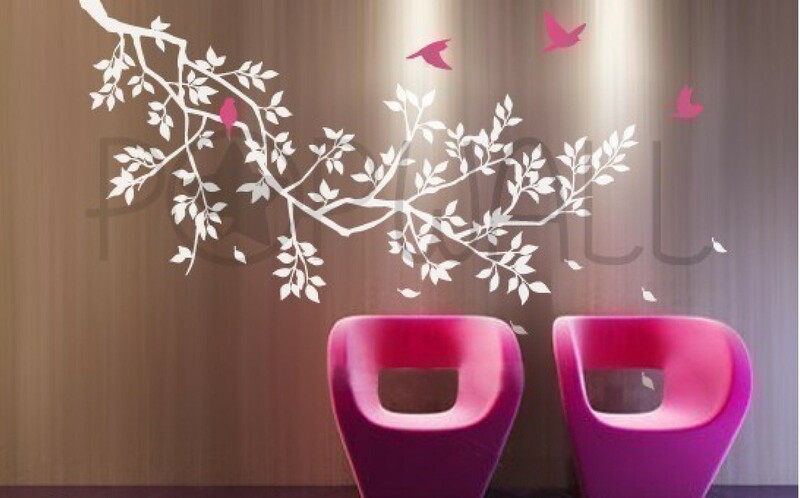 - Free test wall decal for practicing.